If you’re looking for a high-quality car dashboard camera but don’t know which to choose, this entire page is for you. With North American made and most commonly Asian made dash cameras being sold and pitched to you left and right, it can be easy to get confused. The reality of the matter is it’s difficult to find a car security camera that is actually any good (that will last for the long term). This guide will should you 10 of the most commonly bought and highest rated dashboard cameras that are currently online today. Being most popular in European and Asian countries, dash cams are often called by many names, some of which may be car security cameras, car camera, car DVR, car surveillance camera one car accident recorder. These devices serve two main purposes, first one being as added security in case of a break-in, and the other is to capture live action as you’re driving (accidents,shocking events, or other video worth footage). In 99% of the cases, these devices are very small and fit-in on your windshield just fine. Experience for the most part is expected to be exceptionally good with all of the recommended in car cameras. Though none have a perfect 5-star rating since things can go wrong, the top picks are here due to their positive ration of good feedback. Without further adieu, here’s 10 of the best dashboard cameras to look into that we found after doing extensive research. A regular dash cam that mounts to the windshield is one thing, but a dash camera integrated to a custom rear-view mirror with a built-in LCD screen? .. that’s more like it. The Falcon Zero F360 is a high definition car dashboard camera that is built-in to a custom rearview mirror. What you do is simply mount it on top of the original mirror (without having to dismount your original mirror), wire it up to a power source, and take control directly from the new buttons menu. Oddly enough, it features two 1080P HD cameras which can rotate 180 degrees and record approximately 120-degrees of high-resolution view. Mostly discreet, there’s a 3.5″ inch LCD display which allows you to preview what is being seen through both cameras. Lastly is the SD card slots and which support up to 32 GB of memory (card included). In some cases the mirror tends to be a bit dark for daily use, although this tends to be a hit or miss. Video quality is quite good and so is the photo quality. See Falcon Zero F360 below on Amazon. 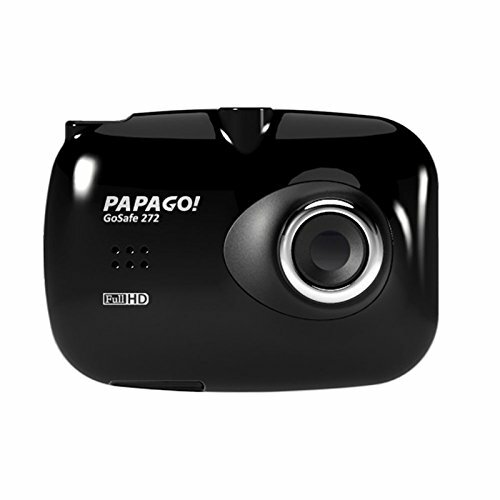 Moving on to a different mirror mountable car dash camera, its the GoSafe260 by Papago. A much better device than the Falcon Zero mirror mountable dash camera, mostly due to less clunky controls. This unit features one primary camera which is capable of recording up to 1080P and store it on up to 32 Gb of memory. Right off the bat you’ll see the small LCD screen discretely hidden on the right side of the rearview mirror, continently placed right above the main controls. Not only is the mirror function working great for everyday driving, but it also features anti-glare tech to ensure no headlights EVER blind you while you’re driving. With the motion detection, it will automatically behind recording until no more motion is being detected. Things like a G-Sensor for detection collisions, Stop & Go alert tells you to move when vehicles ahead of you have moved, driver fatigue alerts and 3-minute view loops. PAPAGO support is quite good for troubleshooting, and price isn’t unreasonable. Check them out on Amazon below. Next up we’re moving up to a more traditional looking in car camera. 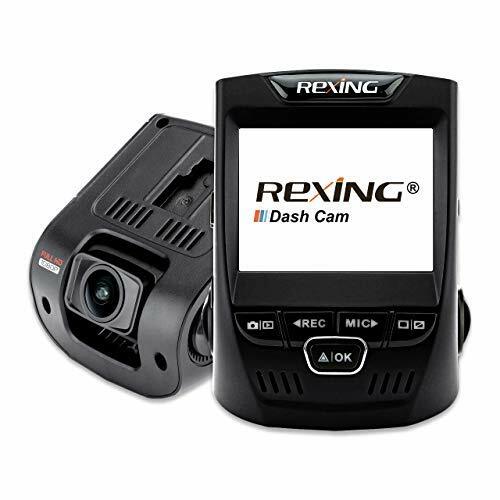 The Rexing V1 LCD Full HD 170 Degree camera is for anyone who wants a discreet high definition camera. At first glance it looks quite odd, but the shape and design serve the purpose of being mounted directly to the windshield and have the 2.7″ LCD screen facing you directly. This car dash camera features a 1080P , 170 degree 6-layer glass lens which will provide you with high definition video recording quality. In order to keep the memory card (32 GB capacity) from getting full, it loops the video cycle overriding oldest video files with newest. Essentially aside from not having an SD included with the camera, you’ll have all the remaining wiring necessary to install into your vehicle. Check it out on Amazon for their best price. This is undoubtedly one of the smallest dash cams we have on our top 10 list. 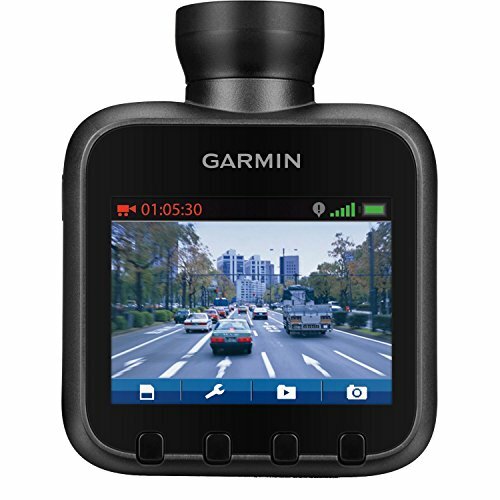 Garmin Dash Cam 20 has a simple design that mounts directly to the windshield, much like a GPS would. This particular model features GPS allowing the videos to be stamped with time, location, latitude, longitude, date, speed and direction of travel. All of this can be seen on the 2.3″ inch LCD display, allowing you to take still images and even remove from the vehicle and capture outside footage. This unit turns on and off as the vehicles begins to move (thanks to the built-in G-Sensor). This feature in particular works whether you’re moving or whether there’s an abrupt collision or incident. Now for the price you’d expect a micro sd card to be included, but it isn’t. That’s the only gripe with have with this particular in car camera. View the current price on Amazon below. Taking a much slimer and different design than the previously mentioned GoSafe260, the GoSafe 272 takes an identical approach to size like the Garmin mentioned above, but at a smaller price and just as many features. 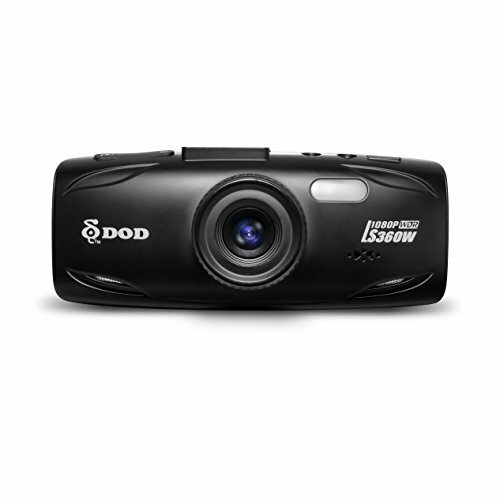 Starting off, this dash cam features a camera capable of recording full 1080p video and with a 140-degree wide angle view (all of which can be seen from a 2.4″ inch LCD display). Up to 5 hours of recording at full 1080P is possible when paired up with a 32 GB micro sd card (max size). What makes all PAPAGO products amazing is the motion sensing, the G-Sensor allows the camera to start recording when any impact, drastic breaking, or sharp turns are felt. Also, it will even record when it senses something moving in front of it. There’s a host of other options available also to help you as a driver stay alert and stay focused. Most import function of this camera by far is the recording quality, which is quite good in all honesty. For just over 100 dollars you’re getting video quality that’s quite good, with a boat load of other features. 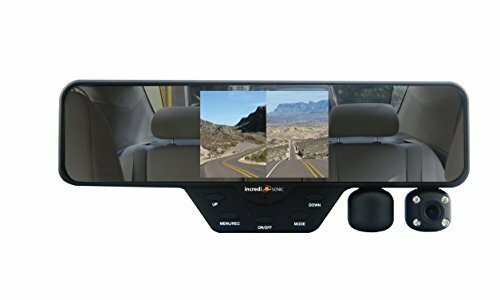 It’s tiny but fits in by your side view mirror without looking out of place, check it out on Amazon below. Our number 5 pick is the DOD TECH LS460W Sony Exmor Powered Full HD Dashboard Camera (with WDR Tech). This one in particular has GPS built-in to keep track of your speed, time, location, latitude and longitude. For full HD recording, the DOD TECH LS460W is full capable of shooting 1080P, even under relatively iffy lighting conditions. It’s easily mountable directly any glass surface using the included suction cup, using the included tape helps to reduce vibration when driving. Unlike in the other dash camera reviews where space is limited to 32 GB in most cases, this one has a maximum space capacity of 64 GB which is enough to record about 8 hours of constant footage at 1080P. All the wiring is included to get this dash cam up and running, the only thing you’d need to actually get is the SD card itself. Check it out on Amazon for their current price. Right off the bat, this windshield mountable dash camera looks pretty sleek. With an all black design and an almost “micro point and shoot camera” styling, it costs less than most of its competitors but comes with just as many features (and an SD card). The Black Box X1S is full GPS-enabled, allowing you to view your location, time, date, speed, longitude and latitude in your videos. The WDR night vision gives it improved capabilities to record night time driving. Just like PAPAGO mentioned above, this camera features a G-Sensor and Motion Sensor which is excellent for capturing unexpected occasions. Video quality is at full 1080P much like all the other dashboard cameras, but what makes it have such a good satisfaction rate is the ease of exporting video files from the camera to a PC. It’s as easy as hooking it up via USB and exporting the video files from the device to the PC. There’s no glossy finish anywhere, so it won’t draw attention even on a sunny day. It’s priced incredibly well, view it on Amazon below. 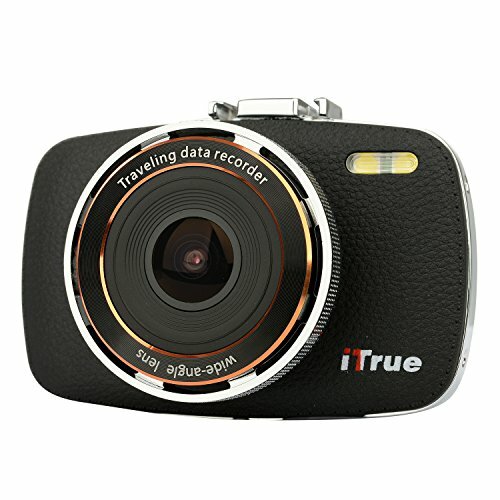 Stepping it up in terms of style is the ITrue X3 Dash Camera. If your vehicle boasts nice leather, this in car security camera is for you. This 170-degree wide angle lens camera is capable of capturing full 1080P high definition video and have exceptionally good night vision recording capabilities. This camera comes with a 8GB micro sd card and does endless looping for constant recording, so you’ll never run out of storage. This camera essentially comes with everything you’d need to plug it in and play, you can also hardwire it and make it work when your vehicles turns on and off. Sudden movements like hard breaking, any kind of accidents or even sharp turns automatically turn this camera on using the built-in G-sensor. You can previous various settings as well as what you see in front of you while you’re driving using the 2.7″ 4:3 radio LCD display. The artificial leather and stitching give it a luxury look that is definitely different, would fit in great with any kind of luxury vehicle. It’s priced reasonably too, check it out on Amazon by clicking the button below. Moving on now to our number 2 contestant, a camera that is quite new to the market but already has an exceptionally good feedback level. 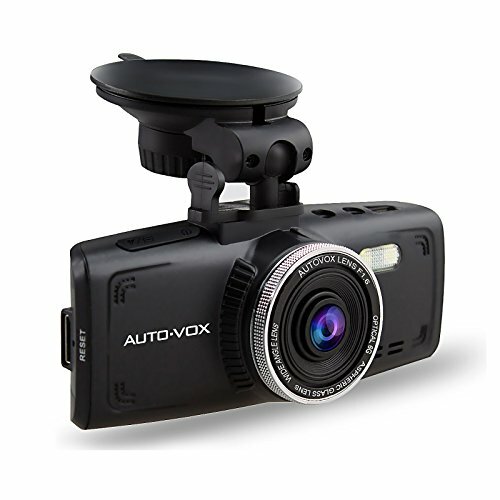 The AUTO-VOX D1 Full HD dash cam is an amazing value proposition for how much you pay and what you’re getting in the complete package. It mounts quite easily to a windshield, and the 2.7″ LCD display allows you to go through a wide range of settings, as well as let you preview what’s ahead. The WDR night mode helps in the night time video shooting, and the angled lens captures more. Unlike other dash camera reviews we’ve done, this one in particular comes with a FREE 32 GB micro sd card so you can start recording. Most of the other guys above cost more and didn’t even with any micro sd cards. Like you’d expect, the video quality is exceptionally good at 1080P, and using the included memory card you’ll be able to record about 6 hours of full HD video. 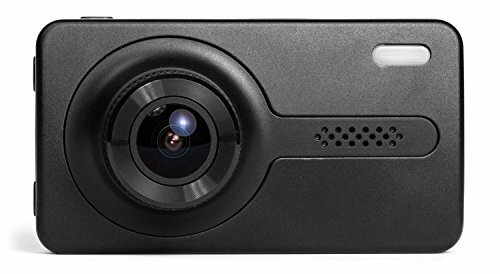 A good value and constantly working dash camera, see it on Amazon. 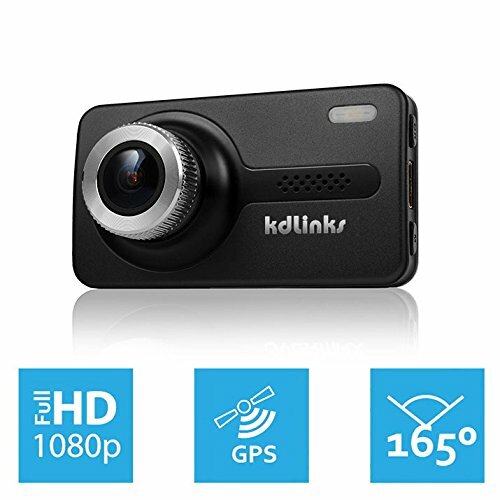 Coming in as our number 1 best car dash camera to buy is KDLINKS X1 Full HD Car Cam. First and foremost, this has by far the greatest satisfaction rate of any dash camera’s we’ve found online (over 1,700 individual reviews giving it a 4.6 stars of 5 on average). This one looks quite similar to the Black Box dash cam mentioned above, although a bit pricier for the whole package. Nonetheless, it comes with quite a lot of useful features that make it worthwhile to have. Capable of recording in full 1080P and using a 165-degree wide angle lens, the included 8 gb micro sd will let you store about 4 hours of 1080P quality footage. Don’t worry about running out of space, as this dash camera automatically loops around after the storage is full, erasing the old and storing the new. Built-in GPS technology WILL keep track of your speed, location, time, date, longitude, latitude, and you can check your vehicle location/speed/route on Google Map though the included KDLINKS software. Additional features such as the emergency lock button and accidental auto detection (using the G-Sensor) can lock current video film for you. The software alone is worth the price, and with the high-quality recording you’ve got a pretty capable automobile surveillance unit. Having a dash cam is the best way to constantly witness what’s going on in front of you. To keep a dash camera working properly and not rely 100% on it’s battery, look at one of our top picks for car batteries. You also want to have the best parking sensor system to help you drive safely. To maximize your automobiles security system, you should take a look at our car alarm buyers guide. There’s a comprehensive guide for EVERYTHING you’ll need to properly arm your vehicle. It’s important to keep your vehicle low key and avoid theft (of your security devices). We made a guide on which brand of window tint you should get, be sure to view it thoroughly.